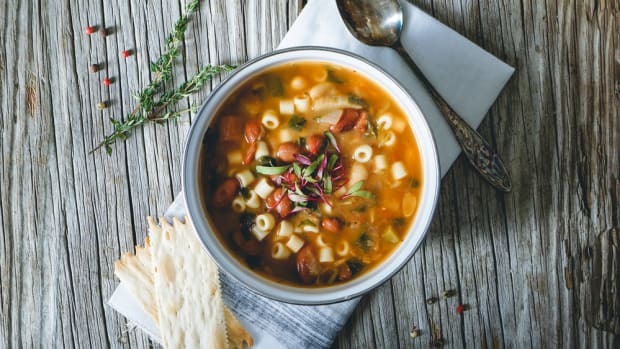 Soup doesn’t usually jive with summertime. 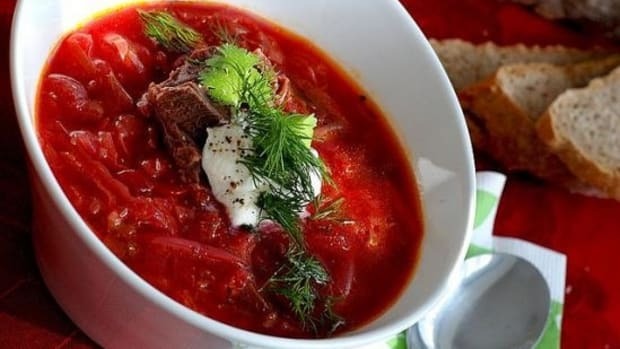 That is, unless you consider a cold soup, which can be the most refreshing way to begin a summer dinner party, or a perfect main on its own, accompanied with fresh bread, for lunch or a light supper. 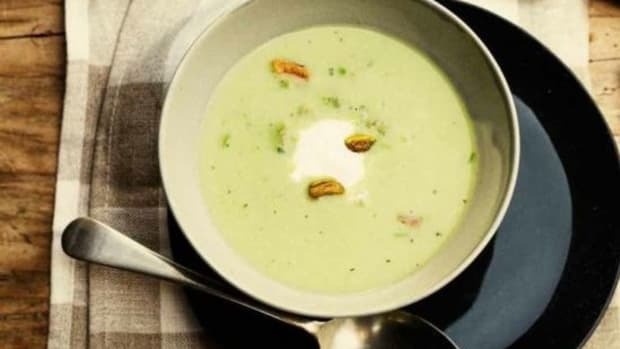 While there are many cold soups out there, there’s nothing easier or more delicious – especially for those with a kitchen garden – than the Andaluz classic gazpacho. Gazpacho in early forms may have been consumed as far back as ancient Rome, as a soup made of bread, olive oil, water, garlic and vinegar. 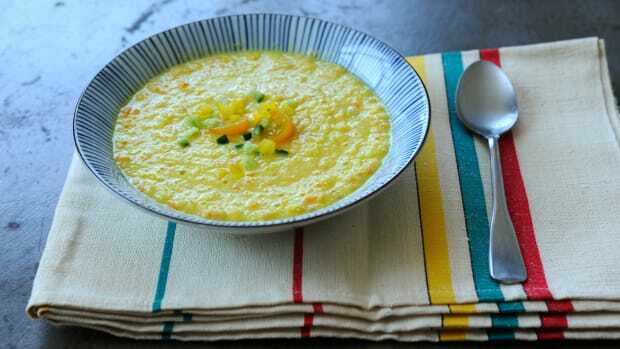 In Spain and neighboring Portugal, vegetables were added to create the blended tomato soup that is served today. 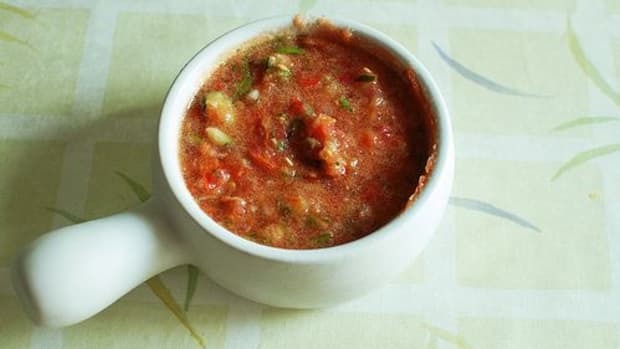 In the States, many gazpacho recipes are closer to a salad: a combination of chopped or diced vegetables in a cold, vinegar or tomato-based broth. 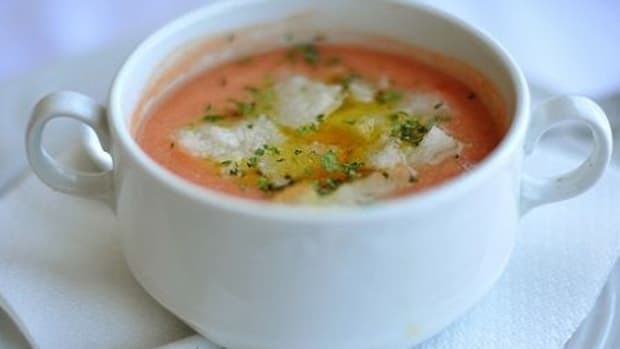 While a chunky gazpacho is delicious, a traditional gazpacho is completely pureed and is often served in glasses, as opposed to in bowls with spoons. 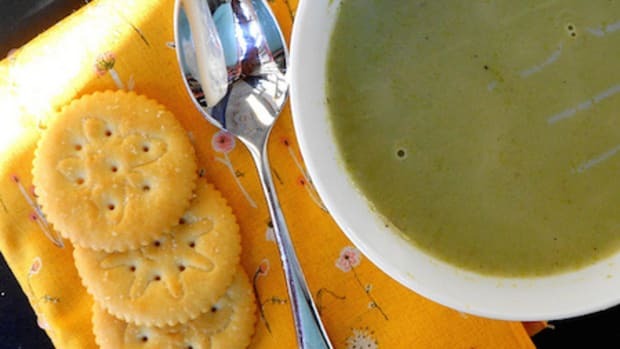 For a fun play on both traditions, you can serve the blended soup with whole diced ingredients on the side as a garnish. In the food processor, combine the garlic and a little bit of the olive oil with a few pulses. Add the rest of the vegetable ingredients and pulse until smooth but still textured. Add the tomato purée, sherry, vinegar and bread and pulse until the bread is combined with the rest of the ingredients. Stream in the olive oil. Season with salt and pepper. 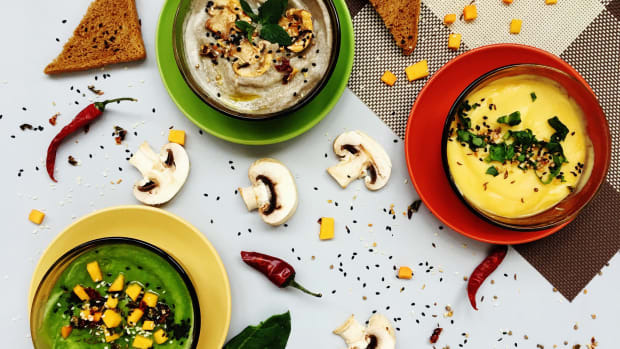 Serve with a drizzle of olive oil over the top, as well as pepper sauce for those who like it a bit spicy and garnish with croutons or cubes of boiled egg or ham. 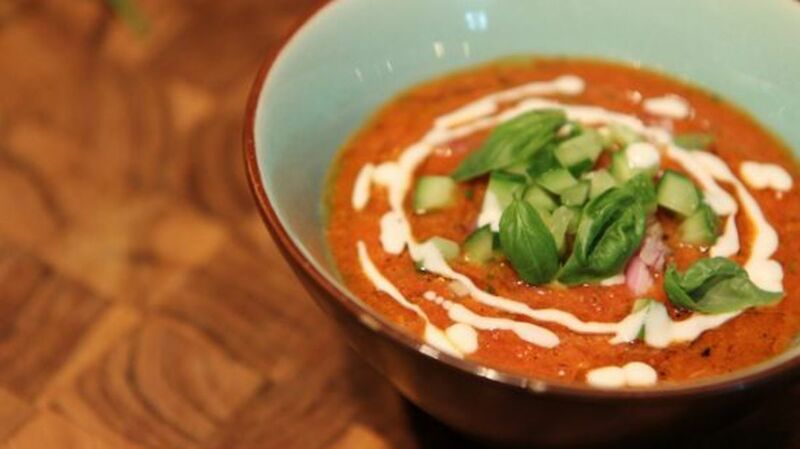 Try our Chilled Organic Heirloom Tomato Gazpacho as well.